Back in the 1950s before the Cuban Revolution and Castro’s transformation to an authoritative Communist state, Cuba was at her glory. The 50s were filled with money, mafia and decadence as some of the world’s wealthiest Americans came to Havana’s playground to enjoy her nightlife, music, gambling, prostitution and rum. 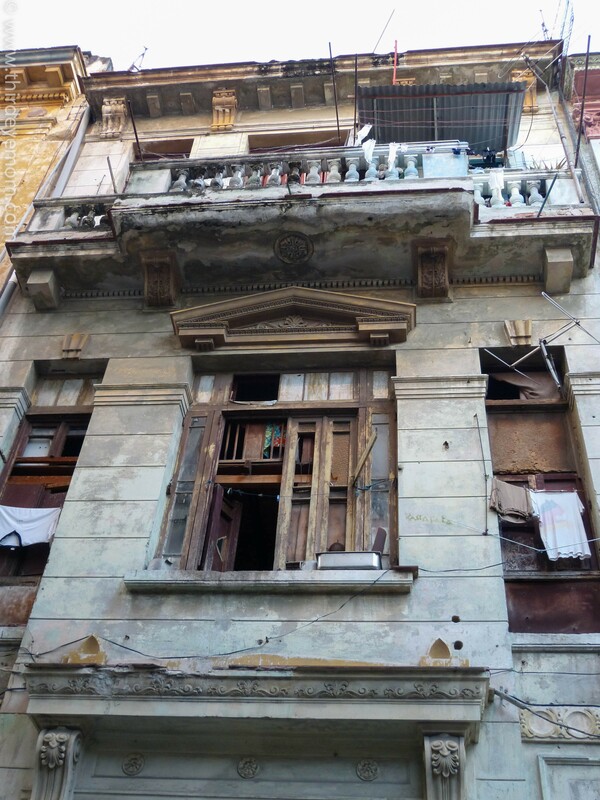 During this time period, Havana’s architecture was also at her best with magnificent colonial mansions, casinos and clubs for the wealthy few Cubans who amassed their riches over the years in the sugar and tobacco trade. 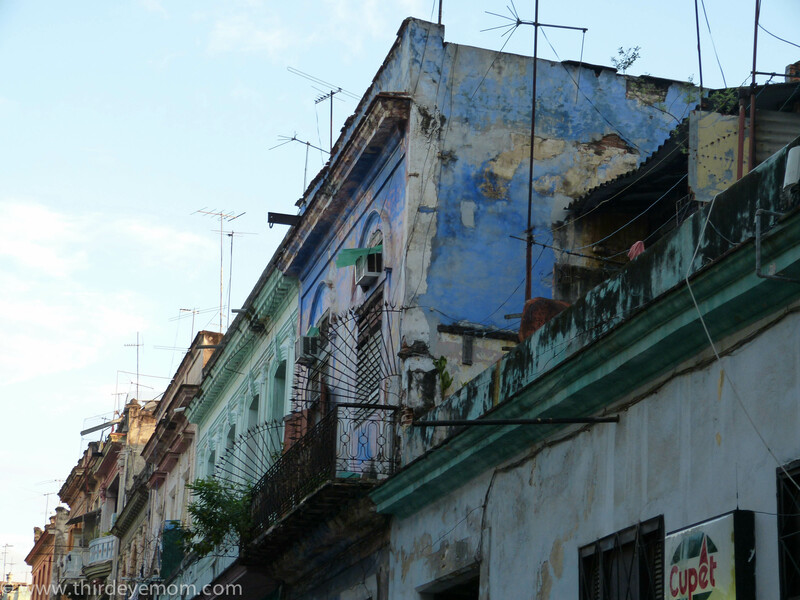 All of Cuba’s glory and decadence came to an end after the Cuban Revolution. 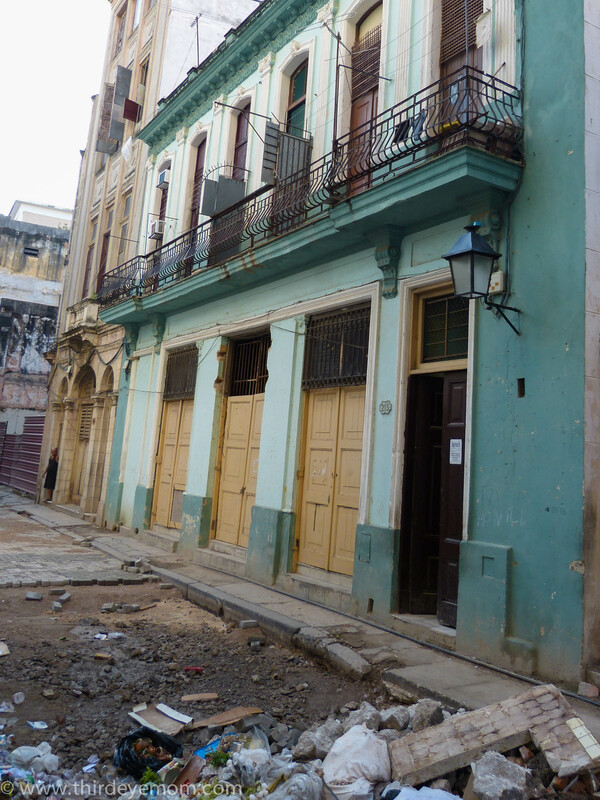 The casinos and clubs were closed down for good, fully furnished beautiful mansions and villas were left as the elite Cubans were forced into exile, and any kind of new building in Cuba pretty much stopped except for ugly, Soviet-looking apartment buildings and equally unattractive new tourist hotels. 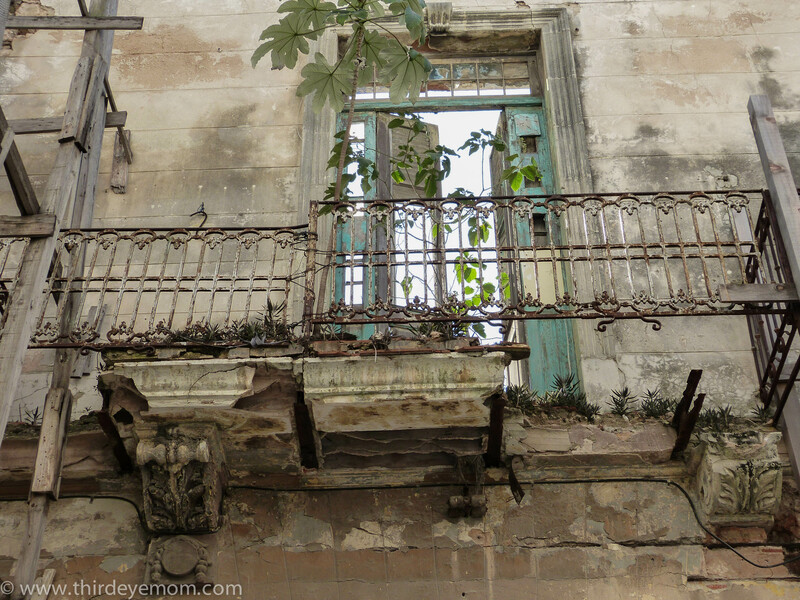 Slowly over time, the beauty and grandeur of Cuba faded away as Havana’s historic buildings began to decay and deteriorate due to lack of maintenance, lack of funds, an aggressive climate and non-existent governmental programs to preserve Cuba’s architectural heritage. 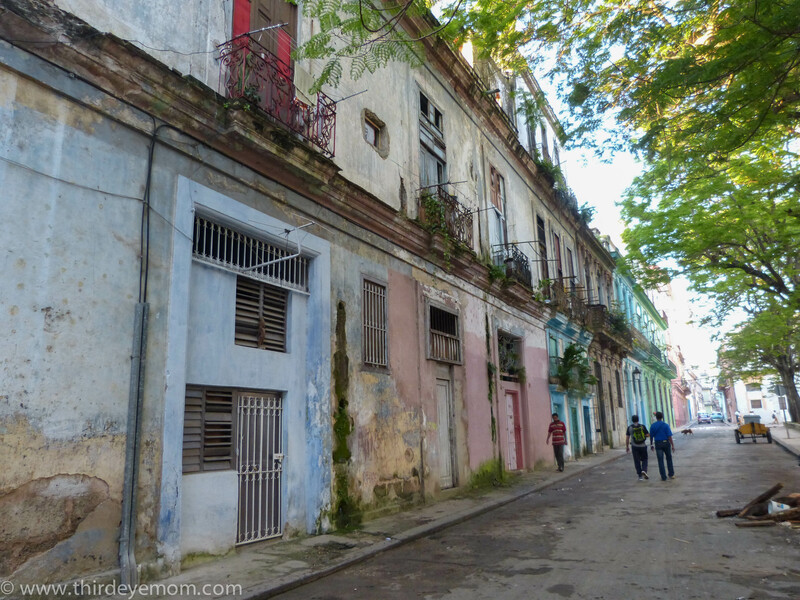 It is often said that Cuba is so amazing because she is frozen in time- to before the Cuban Revolution over 50 years ago. 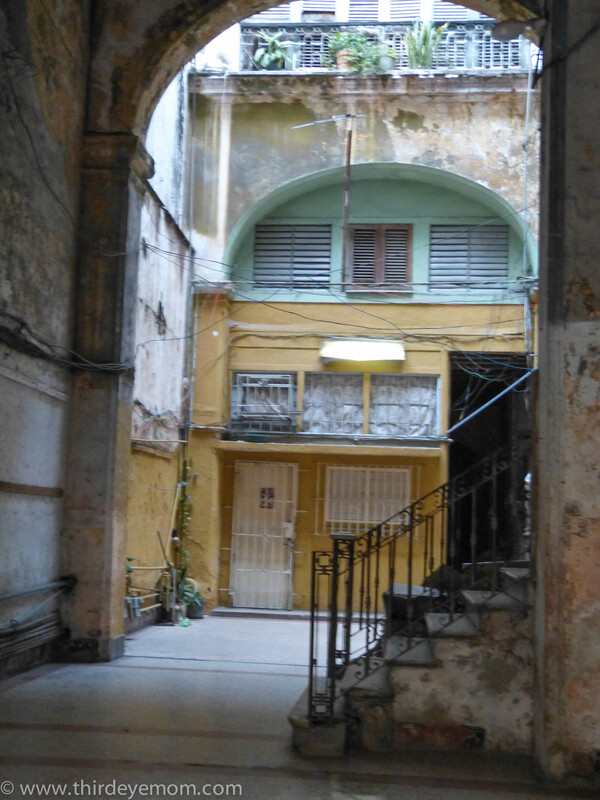 Yet architecturally she is not in good condition and much of Cuba’s architectural treasure is threatened. 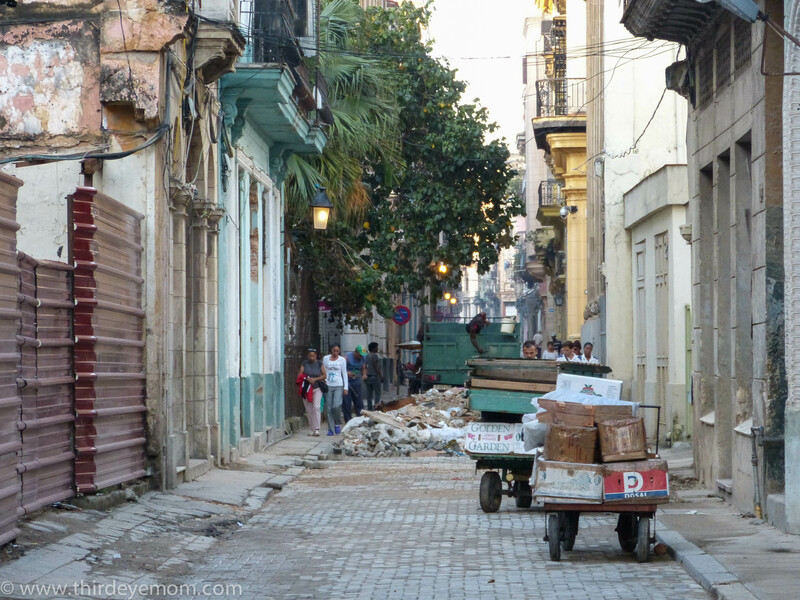 Walking down the street in Old Havana it is not uncommon to see streets like this one. 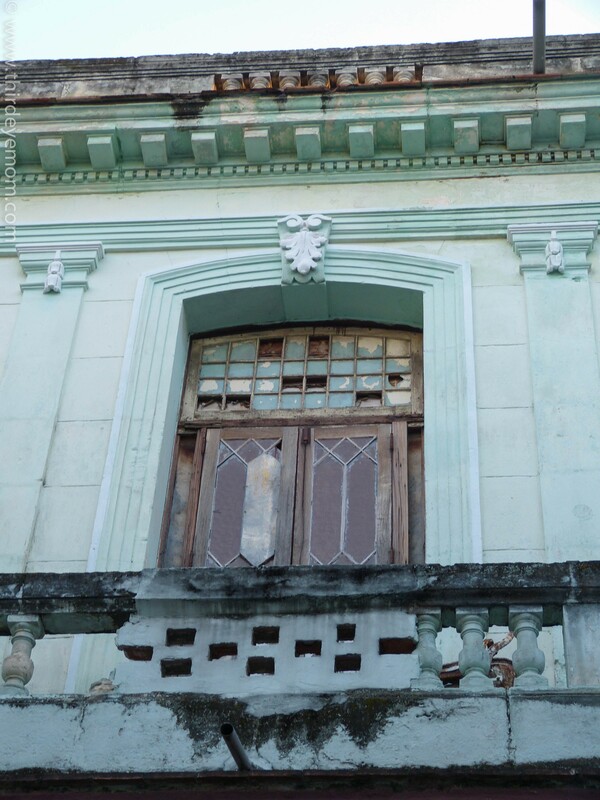 According to Isabel Rigol, a leading architect in Cuba who we met with during our stay, a big part of the reasoning behind Cuba’s deterioration of buildings is that the country does not have a true culture of preservation. 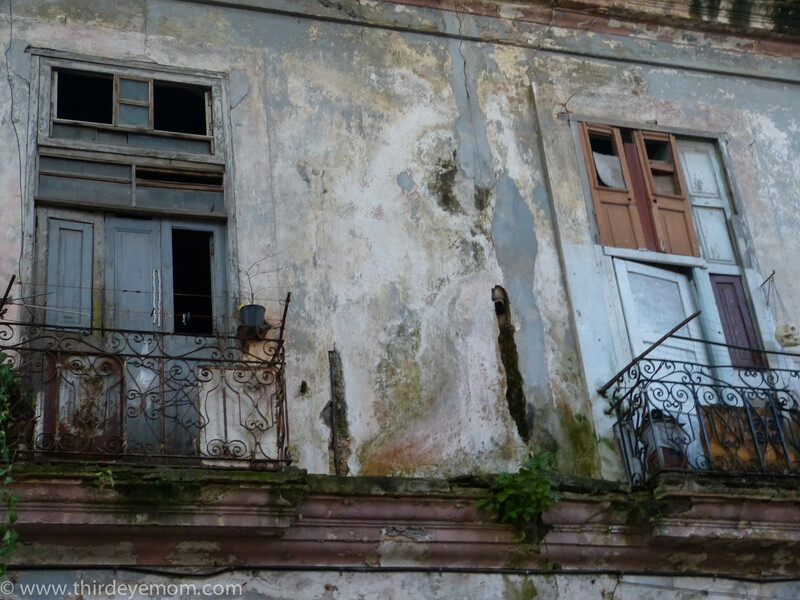 Given Cuba’s harsh climate of high heat and humidity, many of the once gorgeous buildings from colonial days are in rapid states of decay, deterioration and ruin. 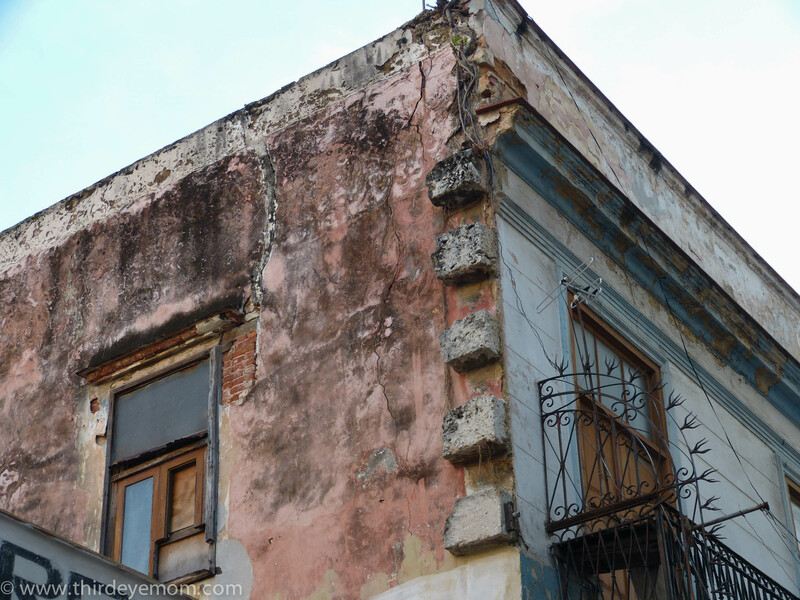 Crumbling paint and dilapidated buildings are a common site because quite simply there is no governmental program for maintaining buildings in Cuba. 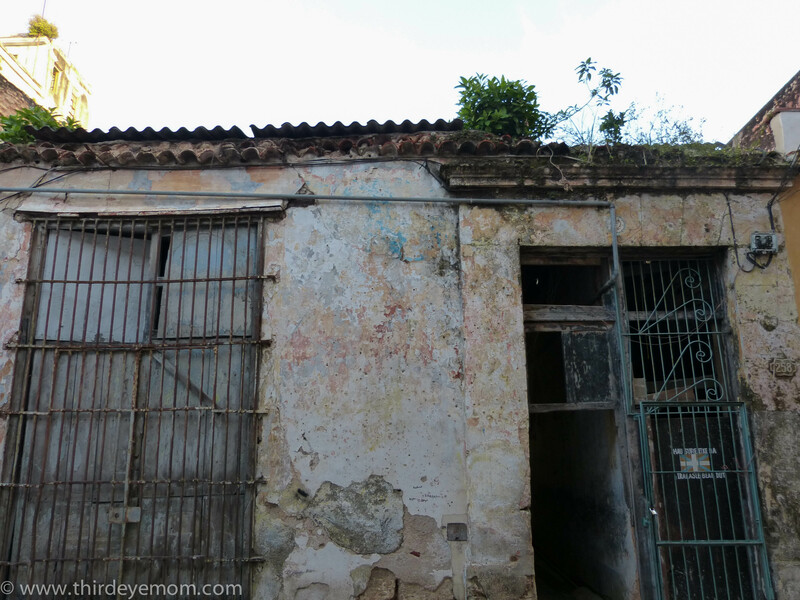 Furthermore, with an extremely low average salary of $2.50/day most Cubans simply do not have the extra money to buy paint and supplies to fix up their homes. It is more important for them to put healthy food on the table than buy a can of paint for an outrageous sum of money. 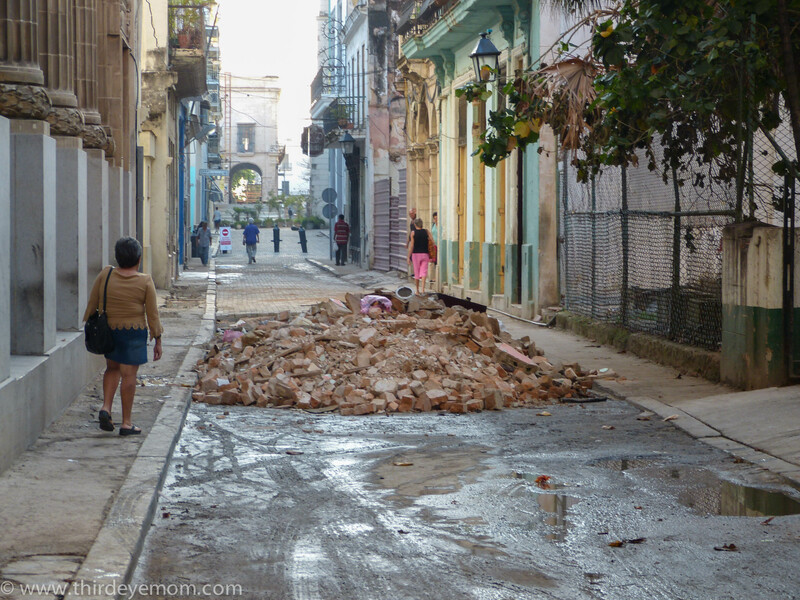 Sadly, public entities never had the capacity or money to repair buildings and streets yet like everything in Cuba, slowly at a snail’s pace this is changing. 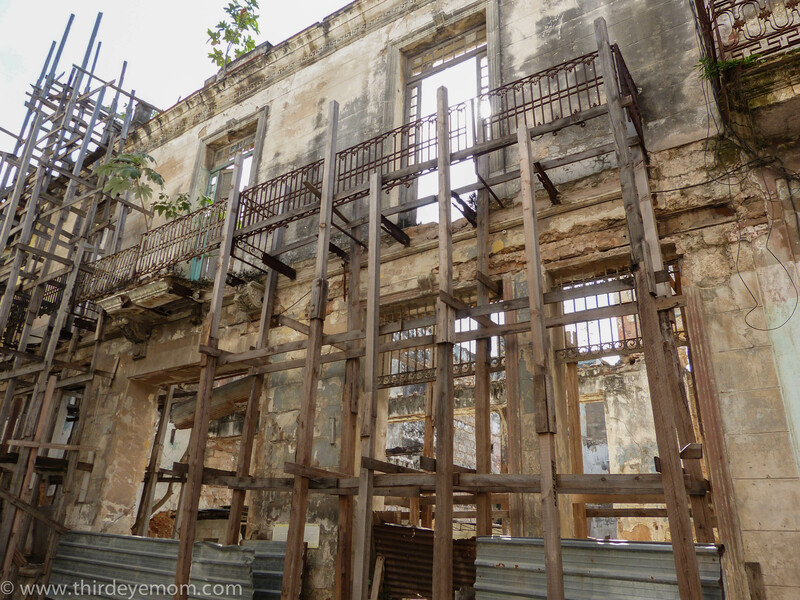 The last few years has seen more and more foreign and local investment go into restoration projects in a few key cities such as Old Havana and Trinidad. 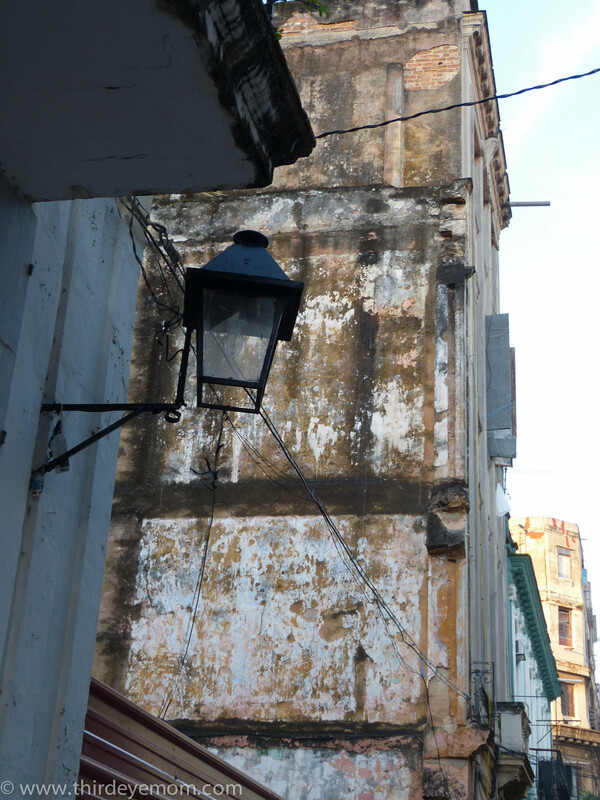 Over one-third of Old Havana has been restored thanks to such programs in part sponsored by UNESCO who declared both Old Havana and Trinidad a World Heritage Site. 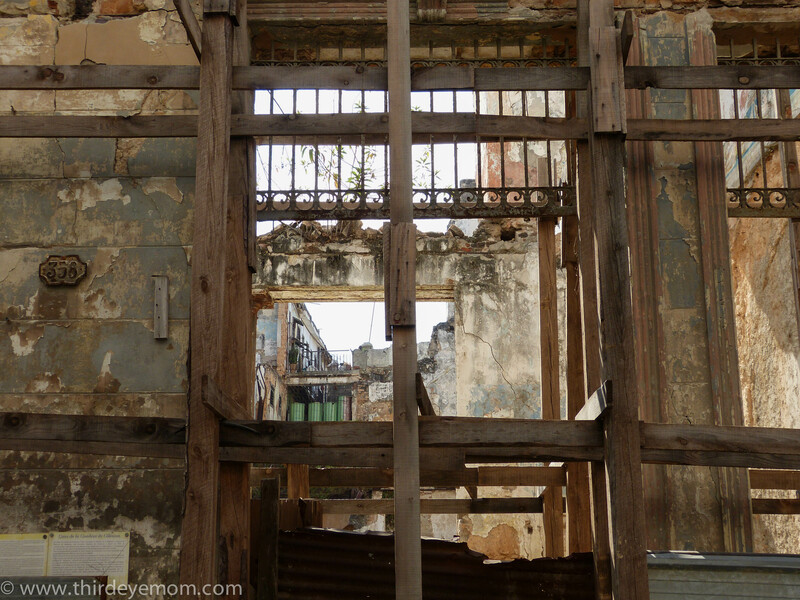 But an enormous task lies ahead in order to restore all of Cuba’s architectural heritage. It will take a lot of commitment, time and money in order to ensure that these jewels are not lost. 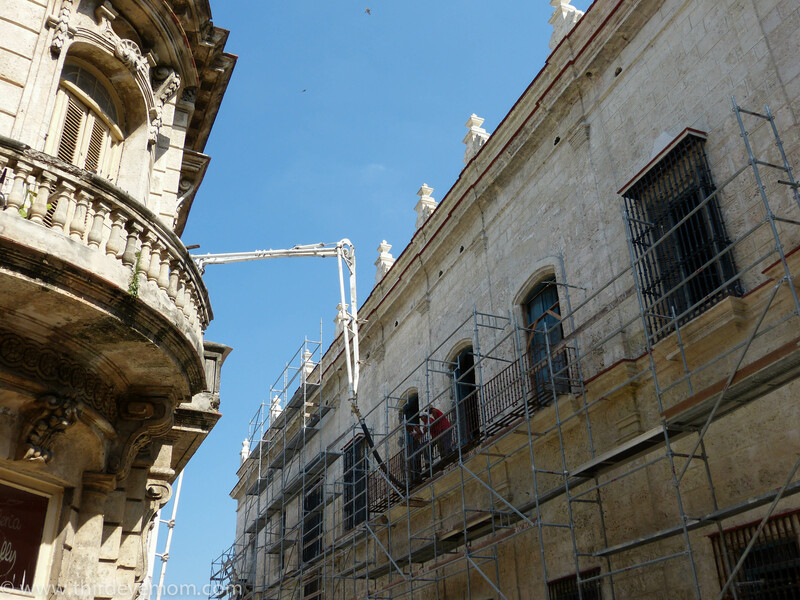 Following are some examples of the restoration in progress and the enormous task that lies ahead to save Old Havana. 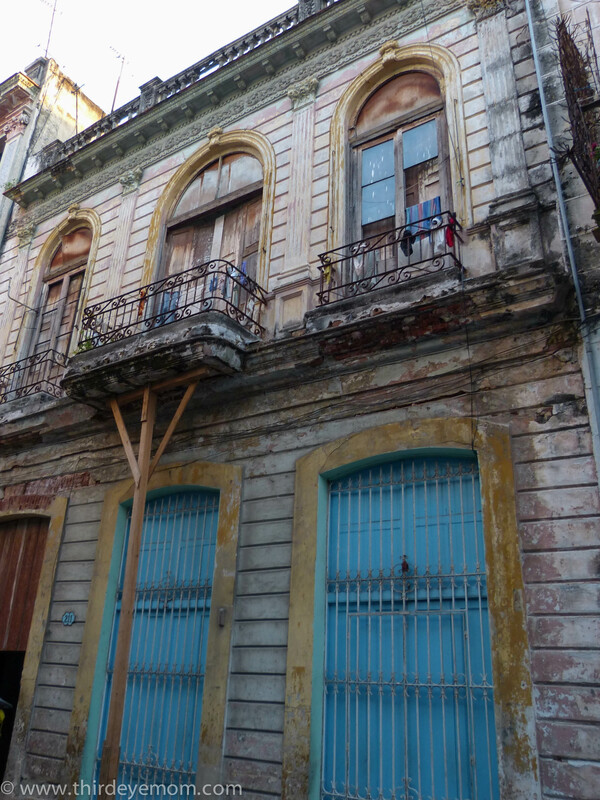 A common site now in Old Havana. Renovation work in progress. 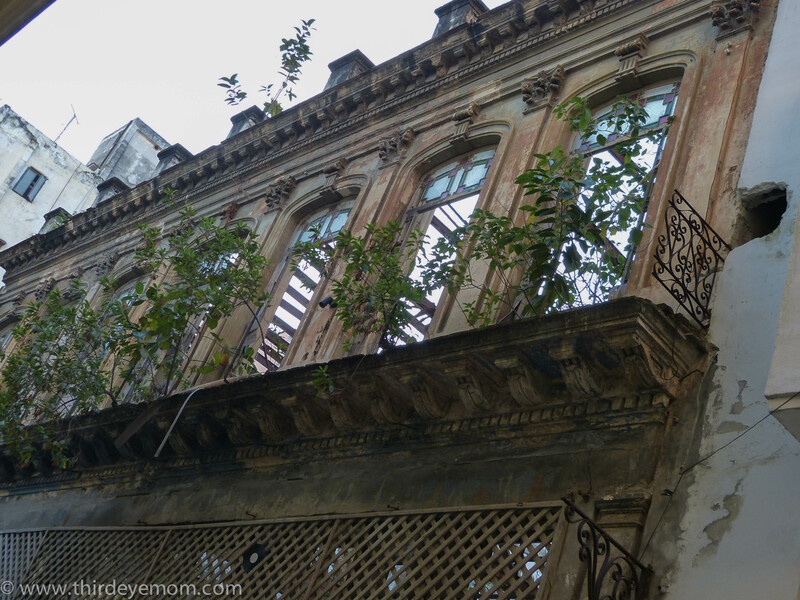 Walking around Old Havana, I was surprised to see so many buildings and old mansions in the process of renovation. 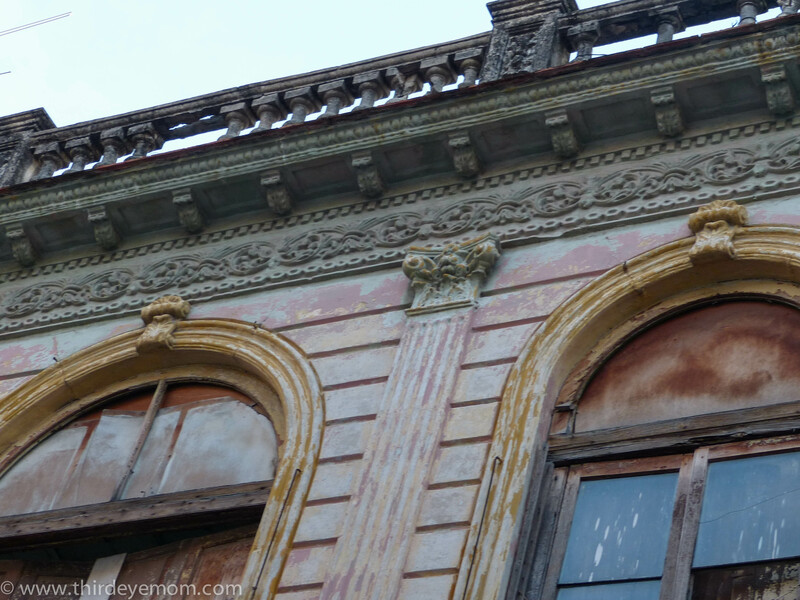 Once gorgeous buildings and mansions of a rather decadent era are today in various states of decay as time leaves her mark. Some have been beautifully restored to their previous grandeur while others are slowly but surely being re-gentrified. The courtyard where the rich used to spend their days relaxing. The ceiling has been restored. It is a beautiful work of art. The remains of the villa, a place that was once spectacular. This young man was taking a break from work. There are also lots of buildings and mansions being left behind. 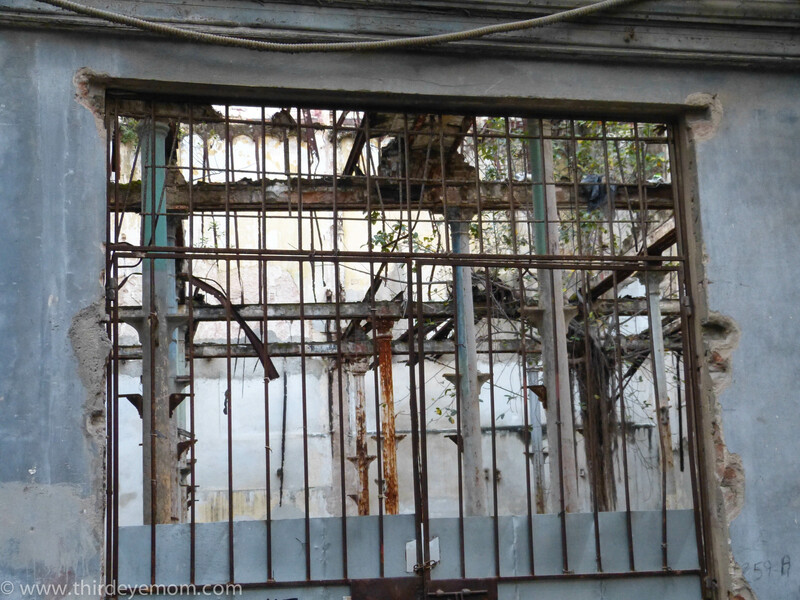 Hopefully restoration will start soon before it is too late. 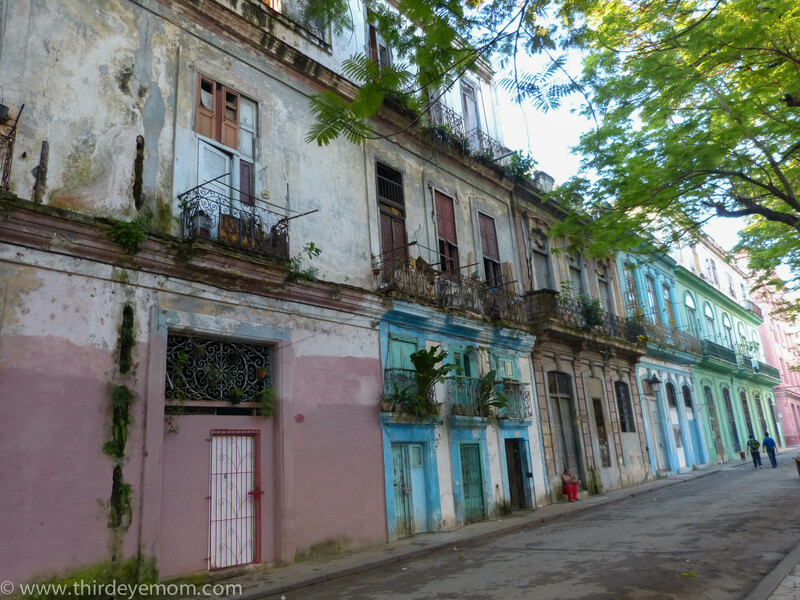 If I close my eyes for a moment, I can imagine what Old Havana looked like back in the ’50s. It must have been utterly sensational. It is such a pity that there is so much being lost right before your eyes. 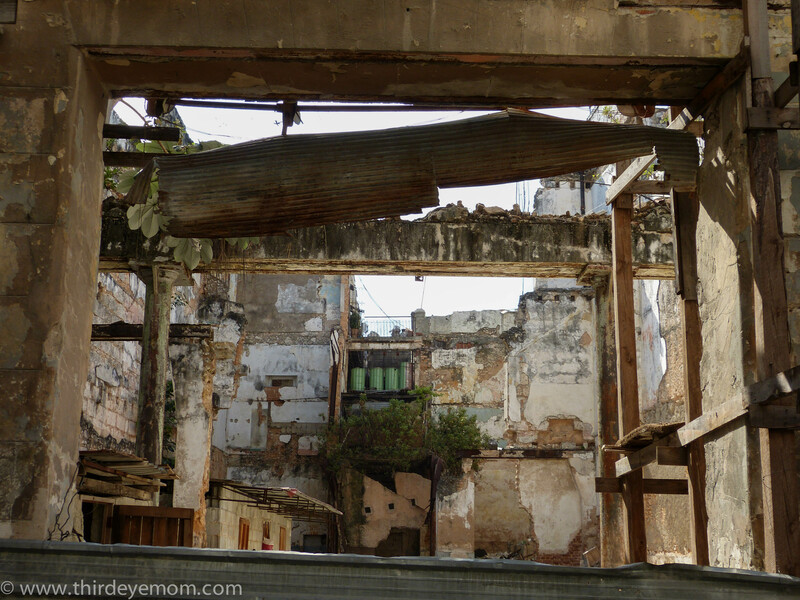 Signs of decay are abundant in the peeling paint, the crumbling facades and the deteriorating walls of Cuba’s phenomenal past. Look at the untapped beauty that could exist if all this was someday restored. 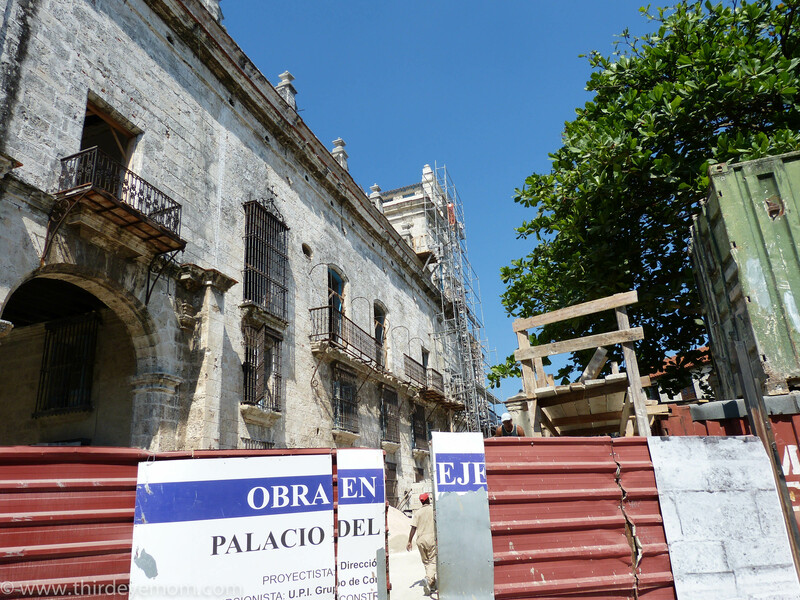 The Oficina del Historiador has been assigned the duty of rehabilitating Old Havana. Let’s hope they have the financial and political commitment to succeed. 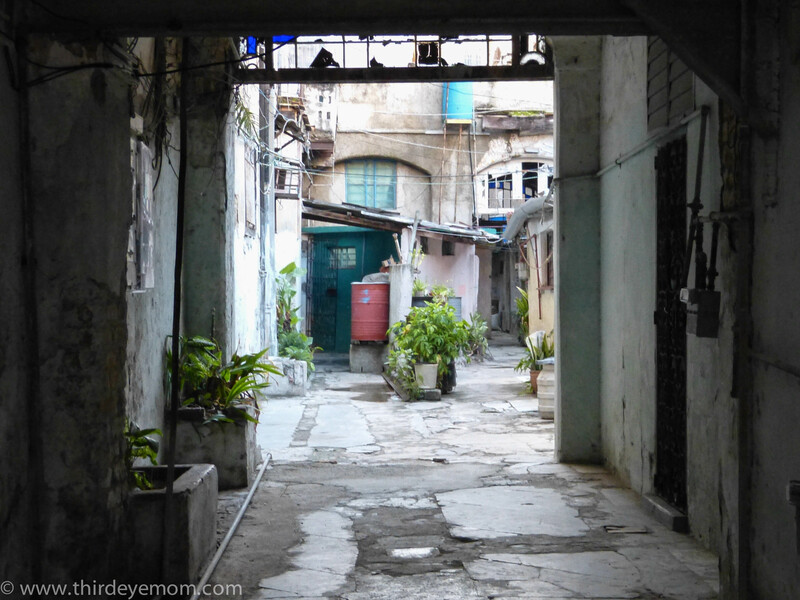 It’s a city so embedded in its culture, history and politics. You were lucky to experience its rhythms. 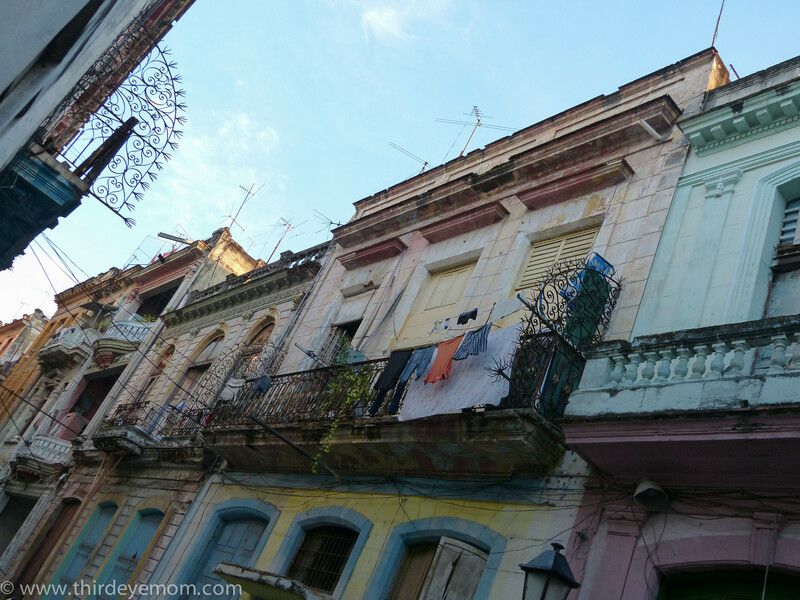 Cuba is on my list of necessary destinations. Great photos that give a real feel for being there. Thank you UNESCO. 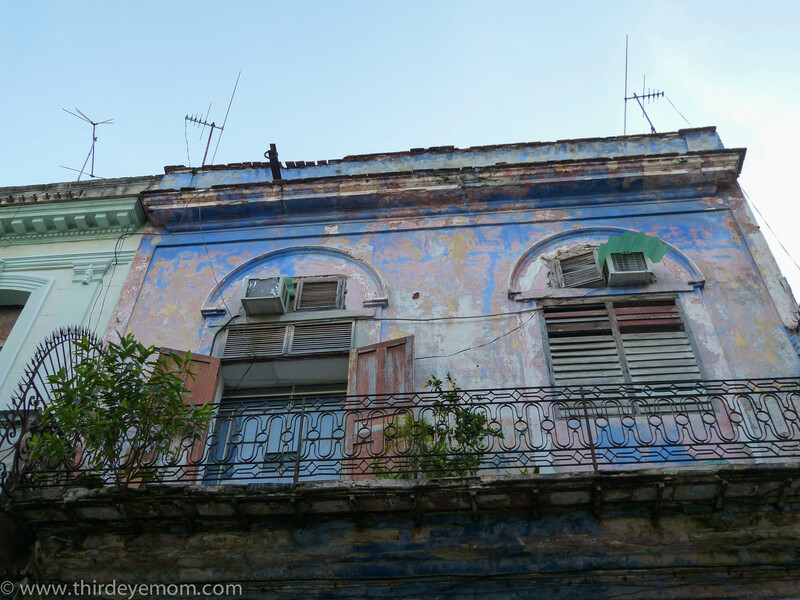 Yes Cuba is amazing and it is so good thank UNESCO and other NGOS are helping to restore its beauty. Well they may not have the resources to maintain their buildings, however, they must be one the worlds greatest car mechanics. They mange to keep their cars going just fine. A lot of those cars are collectors items to us. So true Leslie! They get all the used parts from Russia and other countries. They work so hard on the cars. It is also extremely expensive to have one and if you do have one in the family you are lucky as you can become a driver and make the tourist currency which is way more valuable than the Cuban currency. I was in a few really run down cars as well but I loved the restored ones! “…lost right before your eyes…”– that is so sad. Yes. But it was nice to see the work going on. I’m hopeful that it will continue even if slow. 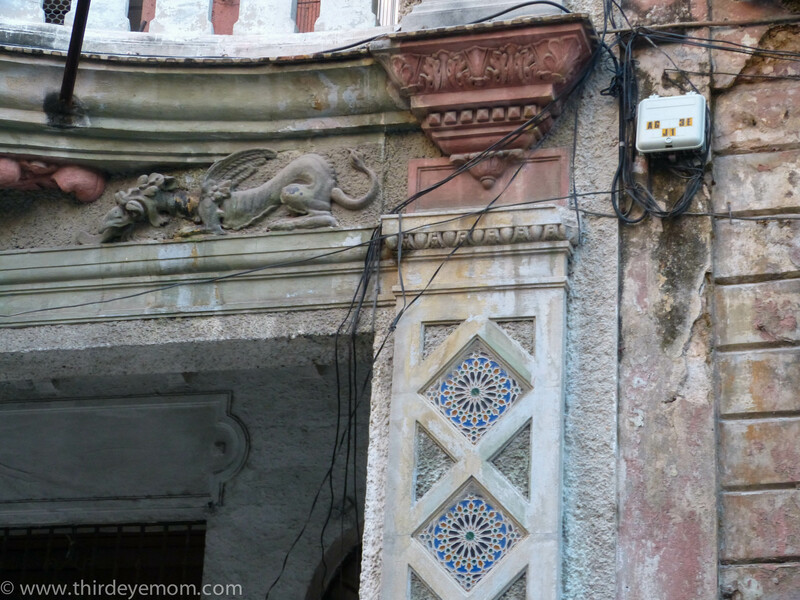 There are some absolutely stunning restored homes in havana. Most are either for the real rich (which are very few) or restaurants or embassies. We got to eat in a few of the restaurants for dinner and they were unbelievable. Two words: so sad. This is the true fruits of Communism: Take everything from the people and give nothing back. And that’s what the new world order proponents want for themselves for the entire world. Yes, so true. I just finished a fascinating book on Cuba’s history and it started around Columbus and ended at present times. What a history. I think the history of the entire Caribbean area is quite fascinating, although I’ve forgotten most of what I learned about it so long, long ago. Me too. I find the Caribbean and Central and South American history very intriguing and also so sad too what colonialism did and how they wiped out so much of the native population. Get rid of the government, that would be a good start. Yes if only that were so easy. I do feel bad for the people of Cuba. I also have such conflicting opinions about what our government has done as well. We have been very greedy in supporting so many puppet dictators, Batista and then this whole embargo thing has hurt the Cuban people the most, not Castro. I sincerely hope Cubans get the freedom they deserve and a better life. They are wonderful people. When Ron and I were in Miami preparing to authenticate our residency at the Nicaraguan Consulate, we stayed at The Miami Guest House owned by Cubans. He showed us the movie, “The Lost City”. 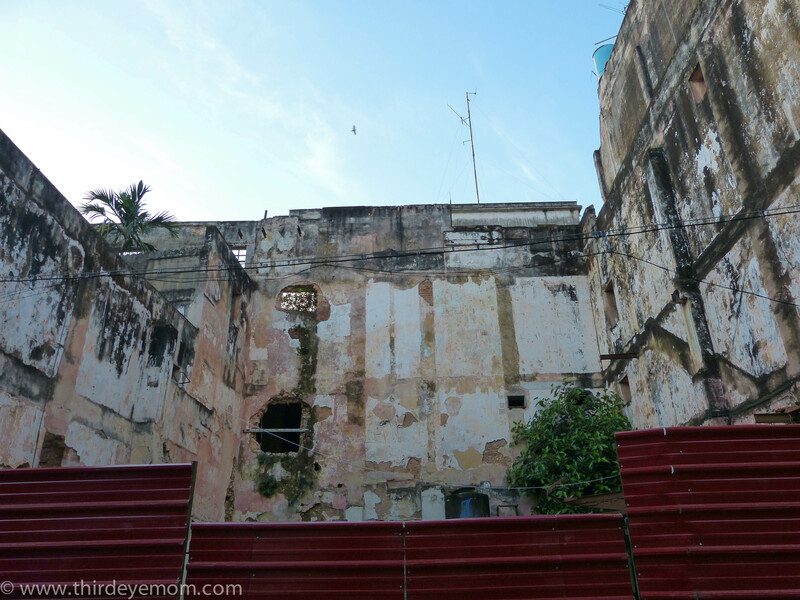 It was about a wealthy family who owned a nightclub in Havana and were caught in the violent transition from the oppressive regime of Batista to the government of Castro. I’d highly recommend this movie. 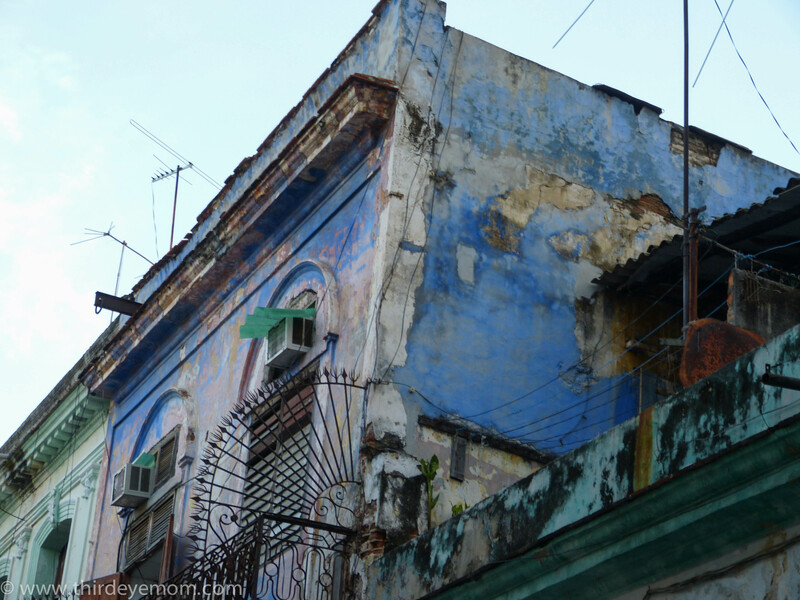 The owner also showed us many pictures of Havana. It’s such a shame that it is in such a state of decay, but it’s encouraging to see the restoration in progress. I can imagine it would be an overwhelming task with many obstacles to hurdle. The next time my husband’s sister goes to Cuba, we’re going with her. She was married to a Cuban. When Pedro died, she took some of his ashes back to Cuba for his family. I really need to record her stories of Havana and Pedro’s life. Wow, that sounds like a fascinating movie and a unique experience. I will have to look that up. 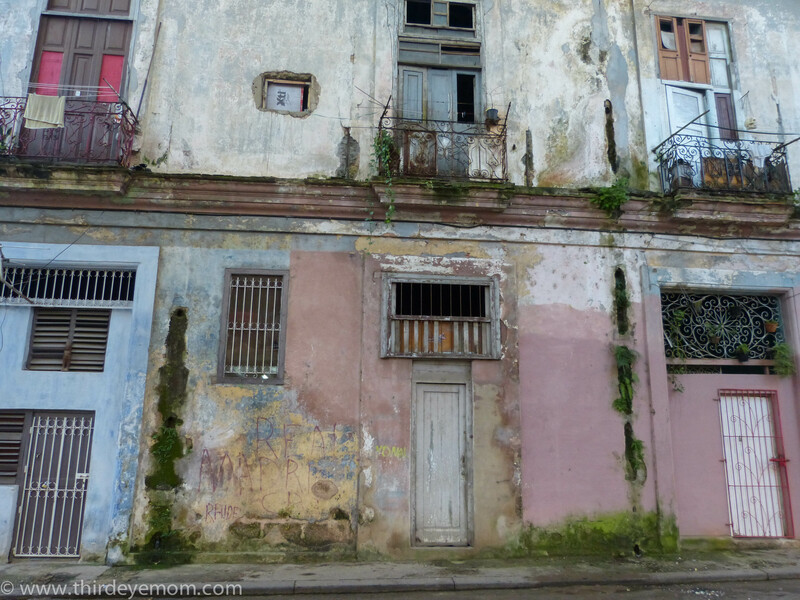 Yes, you must go to Cuba with your husband’s sister and record her stories. That would be so amazing!!!!! Thanks so much. yes there is so much to be done. 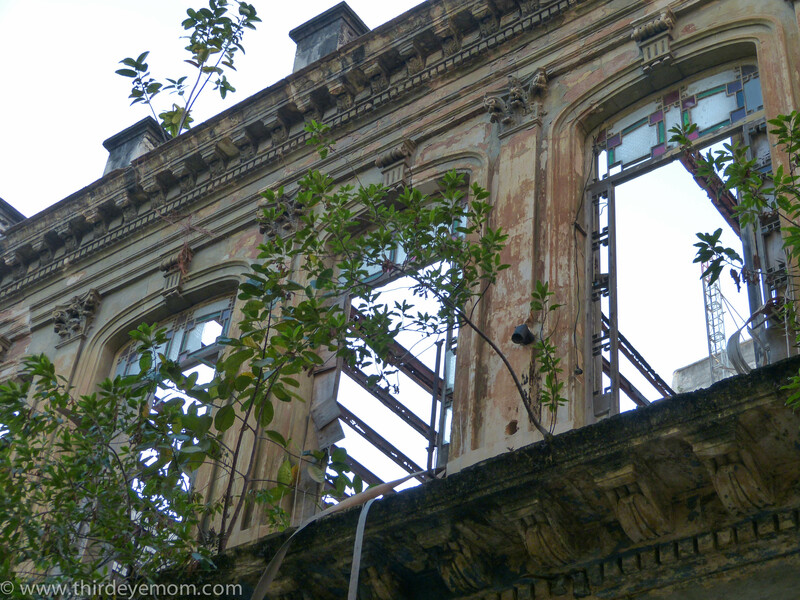 It must be heart-wrenching to see up-close such a grand city falling into decay. Yes but all the restoration also brings me hope.